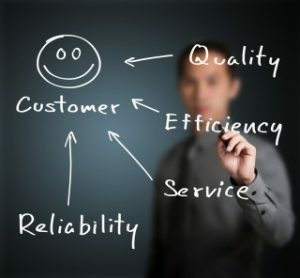 As part of our UKAS ISO 9001:2015 procedure and drive for continual improvement, PDQ Specialist Couriers guarantee customer satisfaction by carrying our regular customer surveys. We continually looks for ways to improve our service and offering to our customers and regularly carry audit our performance to ensure we are offing the best service. We are confident in the service that we offer and thus offer our customers the ability to report their own KPI’s through our portal, PDQ Track & Trace. All of our staff from drivers to office staff are encouraged to assist our customers in every way possible and endeavour to do everything we can to reduce the often stressful task of moving pharmaceutical and hazardous products by air, road and sea.